For the first time in our almost 30 year history, we will open our doors to the general public, showcasing our world-class facilities, athletes and experts. We will open the doors to our world-class facilities for visitors to see where Victoria’s best athletes and experts ply their trade. 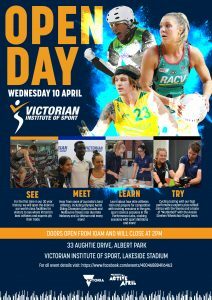 Hear from some of Australia’s best athletes, including Olympic Aerial Skiing Champion Lydia Lassila and Melbourne Vixens star players Kate Moloney and Liz Watson, and many more! 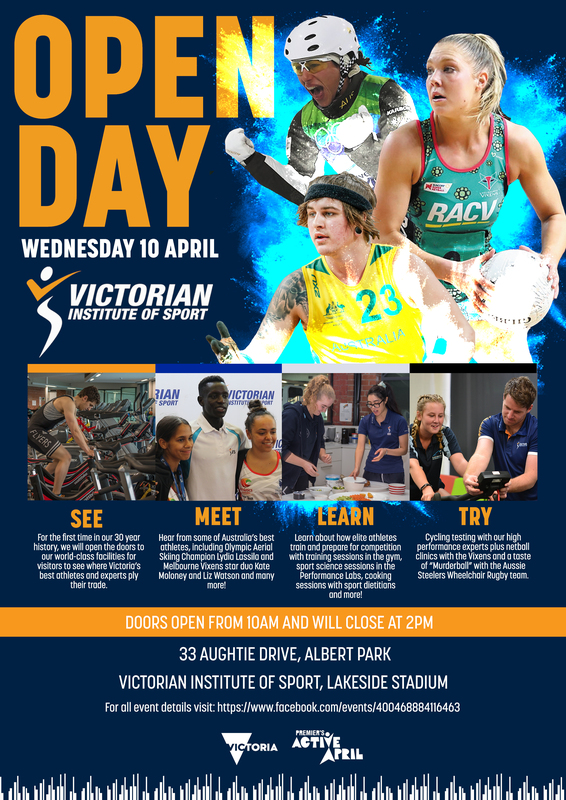 Learn about how elite athletes train and prepare for competition with training sessions in the gym, sport science sessions in the Performance Labs, cooking sessions with sport dietitians. Cycling testing with our high performance experts plus netball clinics with the Vixens and a taste of “Murderball” with the Aussie Steelers Wheelchair Rugby team.